John Njue (born 1944 in Embu, Kenya) is the current Archbishop of Nairobi. In 1986 he was made Bishop of Embu, Kenia. He was appointed Coadjutor archbishop of Nyeri in 2002. 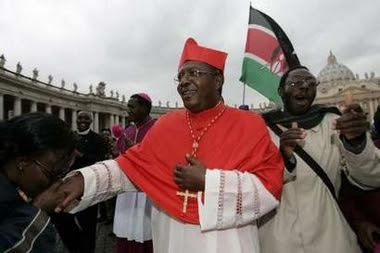 On October 17, 2007 he became Archbishop of Nairobi. On 17 October 2007, Pope Benedict XVI announced that he will make Njue a Cardinal.